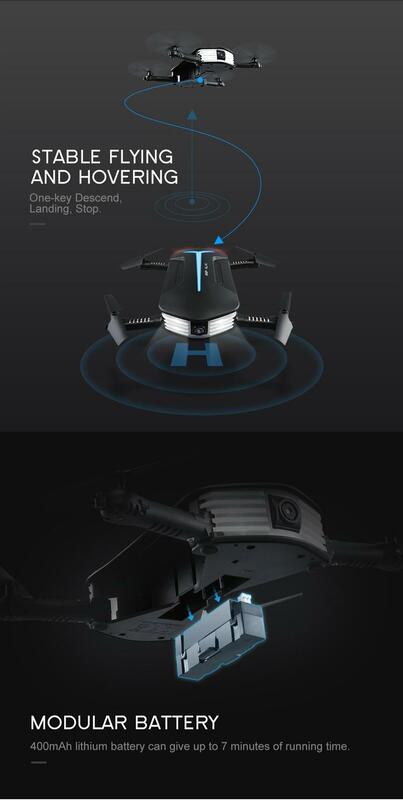 With aerial photography beauty mode, let your photo looks more beautiful.With foldable arm, small size, easy to carry. camera allows you to get great selfies effortlessly. attractive headless model, completely solving pilot loss-of-orientation problem. .